Thank God, my dream came true as; specially engineered camel DNA (revealed in a recent study) makes this unique animal a solution to climate change and other challenges. The study ( the author was part of it) published in PNAS with full access here. a day before. The authors have ensured that the remarkable story over its long and celebrated history stands out like a scientific beacon. Without the camel, Arabian trade, medieval conquests, and recent communication routes would all have collapsed, changing the course of events for human civilizations as well as that incredible diversity among the camel gene pools of Asia, Africa, and even Australia. A unique and pioneering study of the ancient and modern DNA of the ‘ship of the desert’ the single-humped camel or dromedary has shed new light on how its use by human societies has shaped its genetic diversity. 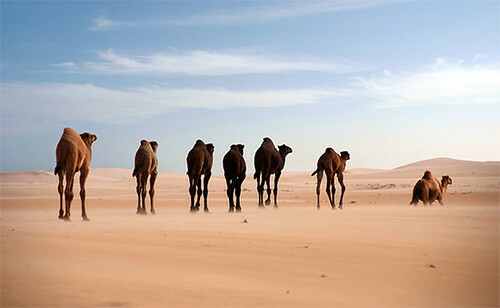 DNA Sequencing Reveals Human Desert Migrations Shaped Camel Genetics. Dromedaries have been fundamental to the development of human societies, providing food and transport in desert countries, for over 3,000 years. The dromedary continues to be vital for livelihood, food, and recreations where other species would not survive. In the current context of climate change and advancing desert landscapes, the animal’s importance is increasing and there is new interest in the biology and reproduction of the species. In my opinion “genetic mixing and re-mixing engineered special DNA (camels) as; by constantly mixing the populations, the camels are now very genetically diverse which makes them more resilient to climate change. As predicted by the climate scientists, the mercury will go up with the passage of years, the camels will be the best choice among the others for food security and sustainable farming systems. The study suggests that the wild camels, which are now extinct, periodically helped restock domesticated populations. Unlike many other domesticated animals, modern camel populations have maintained their ancestral genetic diversity, potentially enabling adaptation to future changes in terrain and climate, according to the authors. For more general articles the links are given in the ensuing lines. The links are referred in the article also. This entry was posted in Adaptation, Camel domestication, camel milk, Climate change, Uncategorized and tagged adaptation, Ancient camel routes, Camel DNA, Camel domestication, Camel milk, desert ecosystem, Dr Pamela, dr Raziq, drought, food security, PNAS on May 11, 2016 by Dr Raziq.